From the opposite side of the St. Lawrence River in Montreal, Quebec, you can enjoy the scenic view of the buildings that adorn the skyline of the downtown core. The Clock Tower is the brightest building along the waterfront as the soft sunset colors span across the sky. 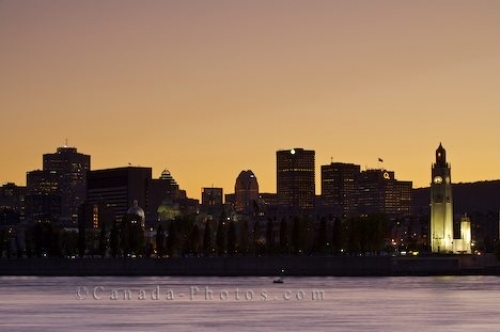 Picture of the Montreal skyline during the sunset hours from across the St. Lawrence River in Montreal, Quebec.